It is a great time for a commercial drone pilot. The UAV industry has experienced a boom in the last couple of years as drones have become essential business tools in many industries. According to BI Intelligence, the research arm of Business Insider, infrastructure has experienced the greatest increase in drone use. The value of drones and drone services in the industry is currently worth $45.2 billion. Agriculture comes in second at $32.4 billion and transport third at $13 billion. Other drone-friendly industries include security ($10 billion), media and entertainment ($8.8 billion), insurance ($6.8 billion), telecommunication ($6.3 billion) and mining ($4.4 billion). There is no shortage of career opportunities for a licensed drone pilot. The falling cost of drones is make it much easier to get into commercial drone flying. You can get a good entry-level commercial drone from DJI starting from $1,000. There are decent drones from other brands costing around $700-$1,000. You don’t have to spend thousands of dollars to buy a good commercial drone. There is also much more variety as more drone makers join the market. From leading names like DJI and Yuneec to others like GoPro and 3D Robotics, your options are plenty. You can choose exactly what kind of drone is best for your area of expertise. Whether you need a heavyweight that can handle hefty payloads or one that’s perfect for extreme environments, you will find it. If you have been thinking of making an income from your skills and experience, it’s easier than ever. Here are some of the hottest drone pilot careers for 2017 and going into 2018. We have compiled them from popular job boards such as www.dronebase.com and intelligence reports from authoritative sources. You just need to make sure you are still on top of your game and of course have a Remote Pilot Certificate. Images and videos have always been the crux of real estate marketing. In recent years, real estate professionals and companies have been increasingly using aerial imagery to improve the appeal of their listings. As a result, the demand for drone pilots who can take stunning aerial videos and images of their properties has gone up. If you know how to work with a camera drone to take property photos and HD clips, this career is for you. Get a good photography drone like the Mavic Pro 4K or the Phantom 4 Pro and get to work. You can either work directly for clients or work through a platform like Drone Base. The first option will earn you more money, sometimes several thousand dollars per project. But you’ll have to work harder to find clients. The later will see you get work more frequently but with less pay since the platform has to take their cut. You also have to decide whether you’ll specialize in commercial real estate, residential real estate or both. Before drones came along, inspecting infrastructure like bridges, oil rigs and wind turbines was a job fraught with safety hazards. This is because human workers often did the inspection themselves. Now, many companies opt to use drones which are safer and better at it. Drones like Yuneec H520 and DJI Matrice 600 are great at up-close inspections that can detect even the smallest of problems. They can even be fitted with IR cameras to look for problems like cracks and leaks. This job requires a lot of expertise and experience. 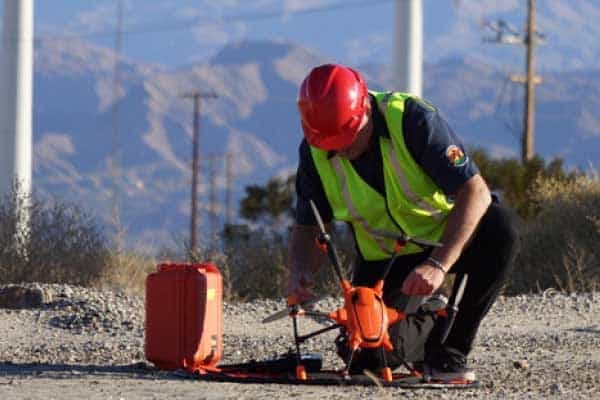 You are going to be flying in dangerous environments and close to utilities that could easily damage your UAV or even worse, cause damage to the ifnrastructure. Most companies will require you have several hundred hours of drone flying experience. But they pay well. You can net as much as $7,000 per job depending on the kind of inspection you’ll be doing. Note that some companies will provide their own equipment while others will ask you to come with your own. Large construction projects are now using drones for analytics, planning and progress update. If you can take high quality imagery of construction sites, it’s a well-paying career field. Because most of these construction projects are commercial, you can get paid over $10,000 for a single project. You can also work with insurance companies to help them process claims or carry out underwriting inspections. 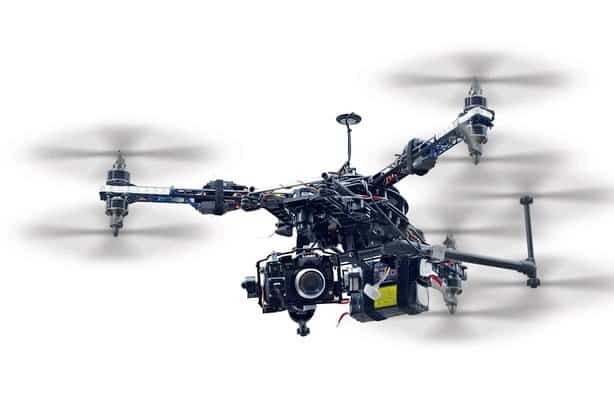 For instance during the recent hurricanes that hit Florida and Houston, several insurance companies contracted UAV operators to survey the damage. This helped the companies ascertain claims and predict the number of future claims. This is a high-expertise area that requires a lot of experience. But it pays well and there are many kinds of projects to choose from. You can work with a movie director to capture aerial clips for their film, you can shoot images and videos for news companies or you can shoot your own imagery and sell it. 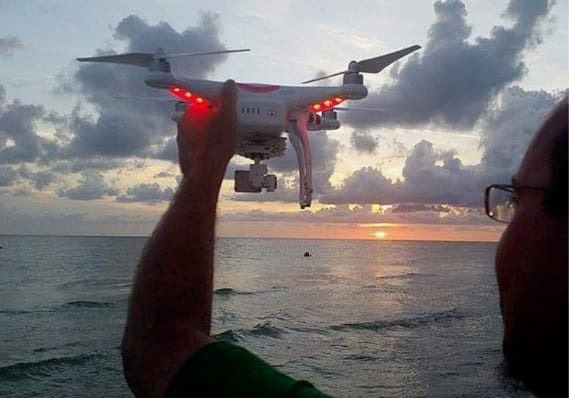 The drone industry is changing quickly. New opportunities are coming up while current ones either change or reduce in demand. It’s important that you keep abreast of what’s happening if you want to turn your skills into a serious career. For instance, it likely that ecommerce companies like Amazon will soon need UAV operators to help them deliver packages via drones. Drones will also get new uses including delivery of medical supplies, law enforcement and even for autonomous aerial taxis. Keep learning new skills so that when these opportunities are finally here, you are ready for them.